Driving through Fife you see mostly small villages and farmland, and it is something of a shock to encounter a large royal palace in the middle of the countryside. 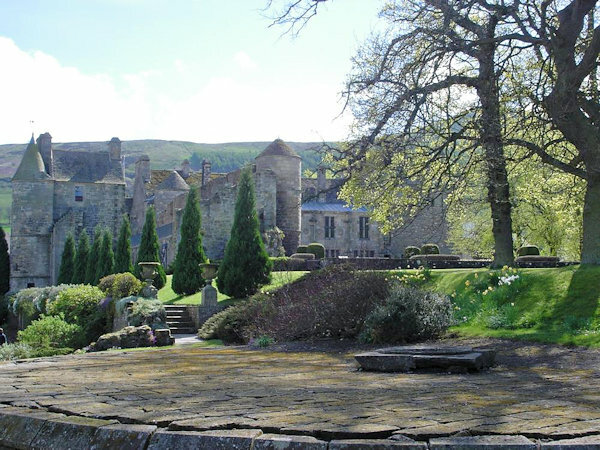 Falkland was the favourite palace of Mary de Guise and the site of Lymond's meeting with her when she tries to disband St. Mary's in Disorderly Knights. 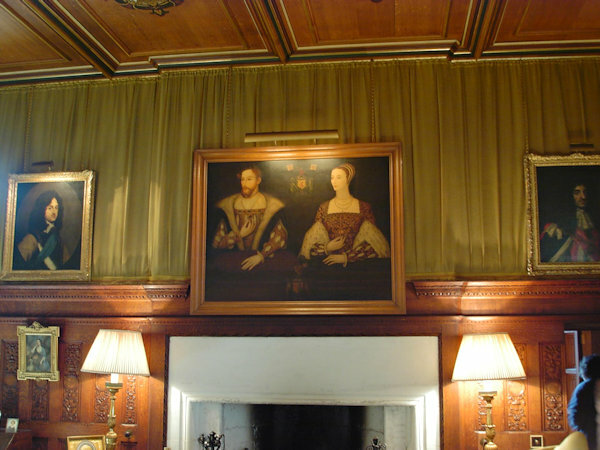 Visitors can walk round the apartments which include paintings of many royal family members including James V and Mary, and the chapel which features stained glass representations of Mary Q of S and Darnley. The palace has a very French feels to it and the attractive gardens are a delight when the spring blossoms are on the trees and summer flowers are in bloom. A building at the bottom of the garden houses one of the few remaining Real Tennis courts - the game that O'Liam Roe plays against King Henri at the French court in Queens' Play. 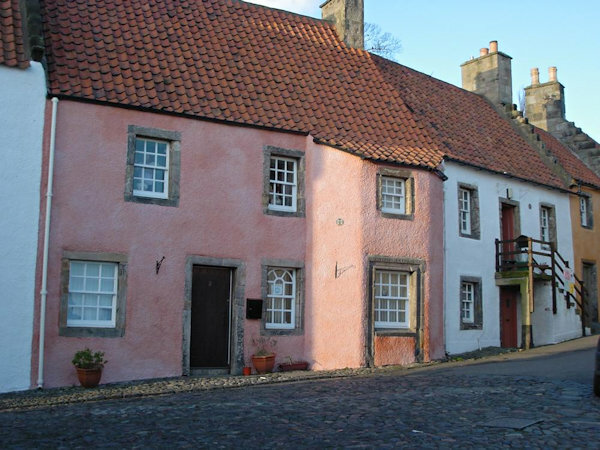 The village of Falkland has retained its country feel and there are many old buildings. The inn where Lymond and Adam Blacklock confront Cormac O'Connor is still serving its original purpose today. The island in the centre of the loch was one of the places where Mary Q of S was imprisoned after her army was defeated. A delightfully preserved village which was an important centre in medieval times and which gives you a real sense of the sort of buildings and street layouts that were likely to be around in Lymond's time. While many of the visible buildings are slightly later - 17th century - some of them are 16th century or incorporate elements which are. 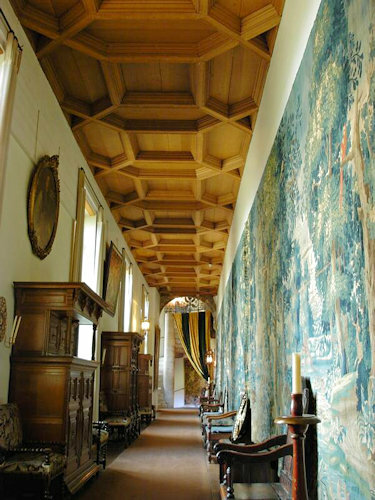 The distinctive Palace with its yellow ochre lime-washed walls and wooden half-shuttered windows is almost contemporary with the Lymond Chronicles, having been started between 1597 and 1611 as a mansion for George Bruce - a merchant who made his fortune in commerce, coal mining and salt production. 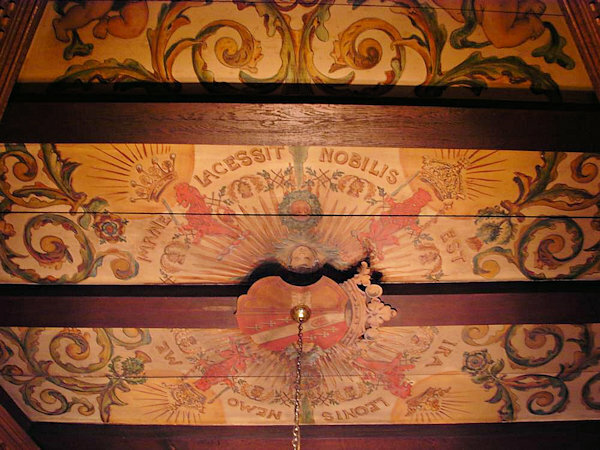 It is of particular importance as you can see the original panelling and painted decoration on the walls and ceilings and get a real feel for what it was like to live in such a building in those times. At the rear it also has a restored medieval "hanging" garden. 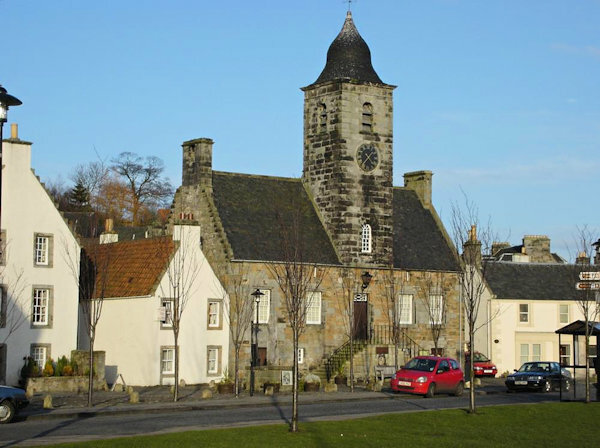 The village grew up around the abbey, founded in 1217 on the belief that St Mungo was born here. 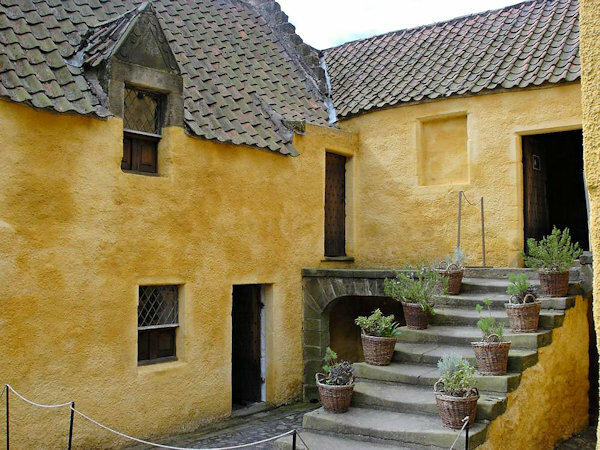 Coal was mined around Culross from the beginnings of the industry, initially by monks. During the time of George Bruce, there was an underground pit connected to an artificial island out in the firth, where ships could load up directly. The mine was drained using water power and a continuous bucket system. The coal produced was also used in the village's other main industry - salt. 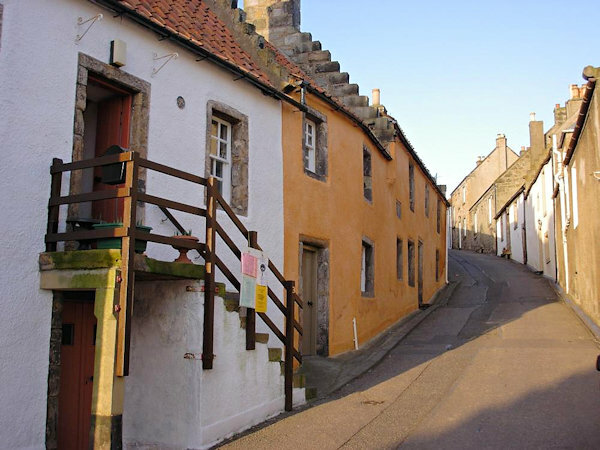 In fact Culross was the largest producer of salt in the country for a while. 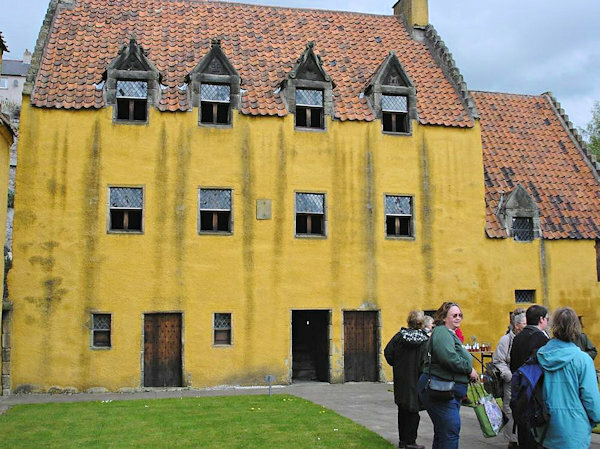 Culross was also the home of the famous Admiral, Thomas Cochrane, named The Sea Wolf by none other than Napoleon, whose daring exploits have inspired almost all of the naval historical fiction of the last few decades. 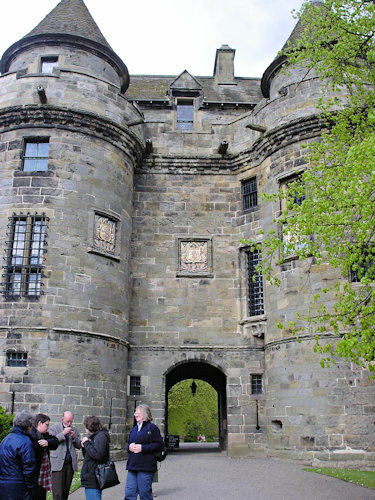 Much of the town is now owned by the National Trust for Scotland and will continue to be preserved. 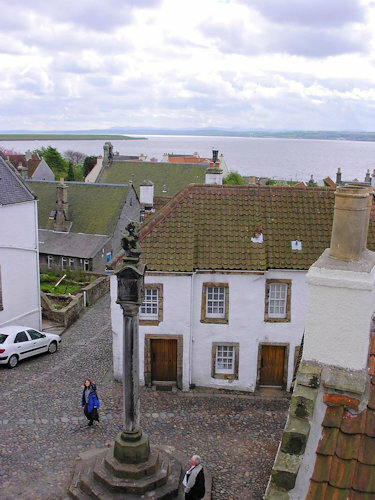 You can read about the DDRA (DDS) visit to Culross on the Edinburgh DDRA AGM 2003 page which has some further details about the village. 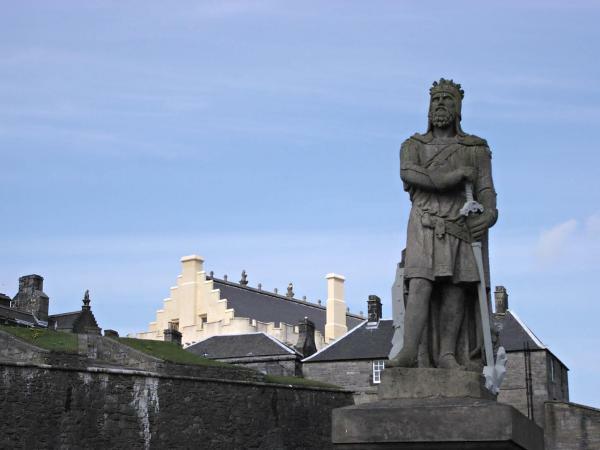 Always an important strategic town because of its command of the vital crossing of the River Forth, it was effectively the key to control of Scotland. The 15th century Stirling Old Bridge still stands - it was a replacement for the previous wooden structures. The most prominent part of the town - now in fact a city - is of course the high castle which from below looks remarkably like its counterpart in Edinburgh and was a favourite of the Stuarts who lavished money and French and Italian expertise on it to make it the envy of Europe. In modern times it was occupied by the army for many years and thus little visited by tourists, but since they left it has undergone major archaeological investigation and extensive restoration aimed at returning it to its renaissance glory and it is now a major tourist attraction. 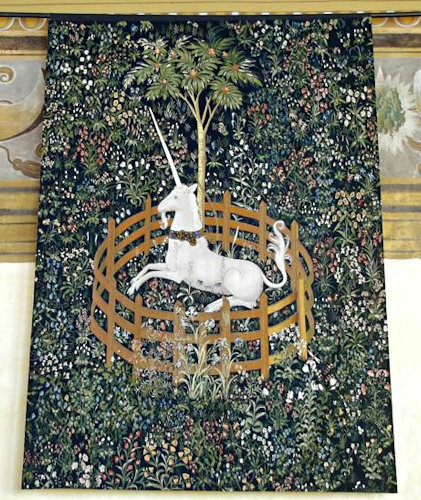 The Grand Hall, the Royal apartments, and the Chapel Royal are all of major importance, and other attractions include the Stirling Heads - carved and painted ceiling panels depicting many famous figures - and the Unicorn Tapestries. 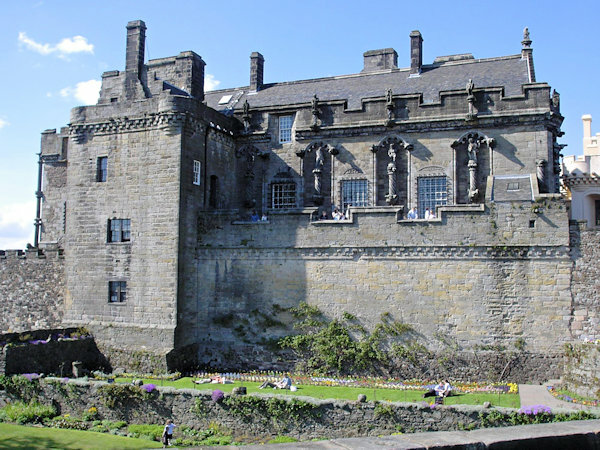 It is said that you can see seven battle sites from the castle walls - the most famous being the battles of Stirling Bridge and Bannockburn. 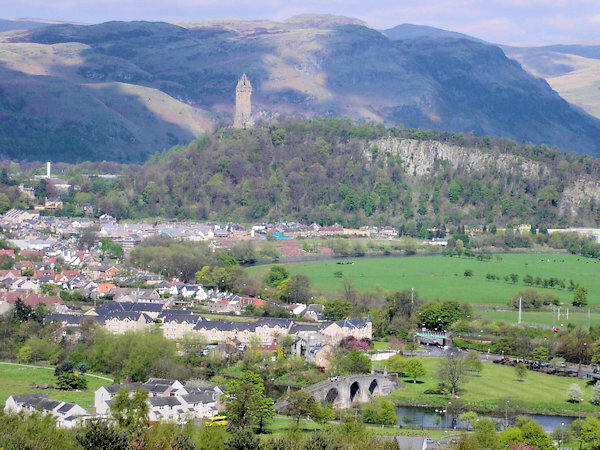 Since the Mel Gibson film Braveheart the whole area has become much more popular than was once the case, as visitors also flock to the nearby Wallace monument - a 220 ft tower built in 1869 where you can see Wallace's two-handed broadsword. 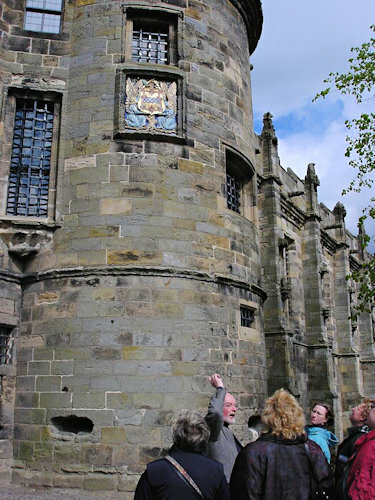 There are still substantial sections remaining of Stirling's old town wall which was built in 1547, and there is a circular walk - the Back Walk constructed in the 18th century - which takes you past much of it. 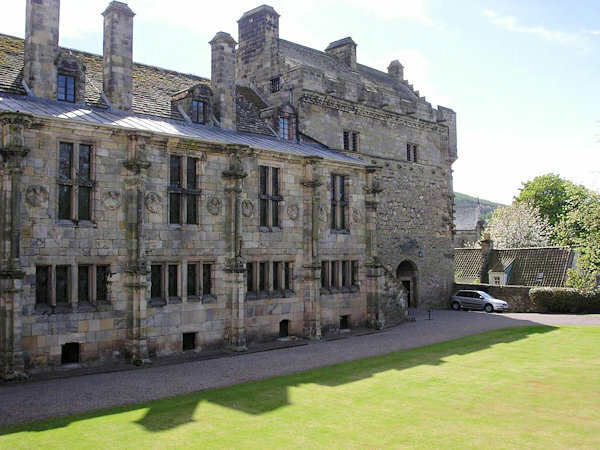 Other attractions include Argyle's Lodgings - a renaissance mansion built around 1630 - and the Church of the Holy Rude which contains a rare medieval open timber roof and was the site of James VI coronation. 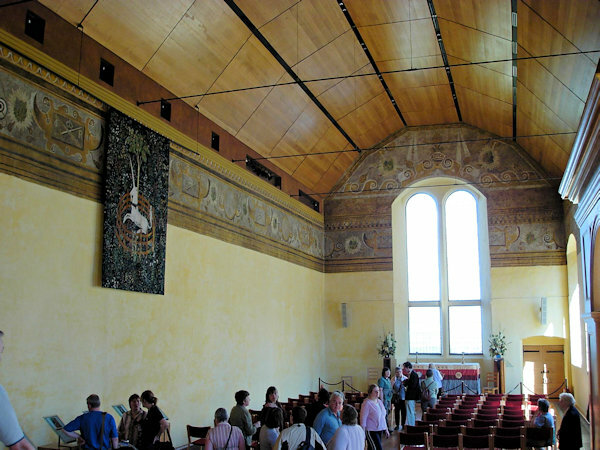 The Dunnett connections are of course that Stirling was the scene of the dramatic papingo shoot and Lymond's meeting with Christian Stewart in the gypsy fortune-teller's tent in Game of Kings , while the restored Grand Hall of the castle was the perfect setting for the gala dinner during the Edinburgh 2000 Gathering. Often described as the prettiest town in Scotland, Perth sits on the River Tay and at one time was the highest navigable point of the river. It was originally developed by the Romans who built a fort and supply base a couple of miles further upstream than the current city, which was started by David I in 1125 when the river had silted up beyond that point. The first bridge across the Tay was built around the same time which immediately gave the town a high strategic value, as well as connecting it to the nearby town of Scone, the traditional crowning place of Scottish Kings. However the bridges would regularly be swept away and rebuilt as the Tay can be a source of fierce floods. Dorothy used Perth Bridge for the memorable scene where Richard sobers up the glover Jamie Waugh by dunking him in the icy cold river, and later enjoys a Christmas Eve meal of ham, eggs and ale with the man's friends and family, where he is described by one of them as "...gentleman or no, he was damned if the fellow wasn't good value at a party and could hold his liquor like a fisherman..."
Nestling in the southern sections of the Highlands, where the hills are starting to rise into mountains, the lovely village of Dunkeld, along with its next-door neighbour of Birnham, is reached from the main A9 Inverness road via a much photographed bridge over the River Tay built by Thomas Telford and regarded as one of his masterpieces. 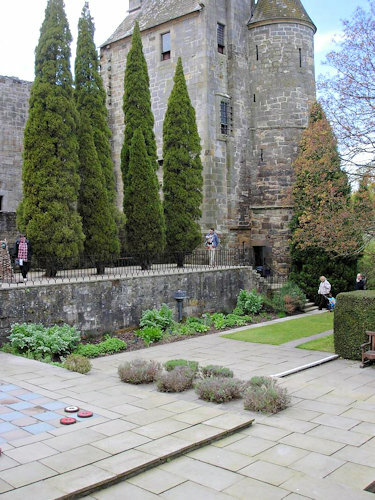 The ancient Cathedral sits behind the village square in a mature garden of trees and rhododendrons that slopes down to the river. 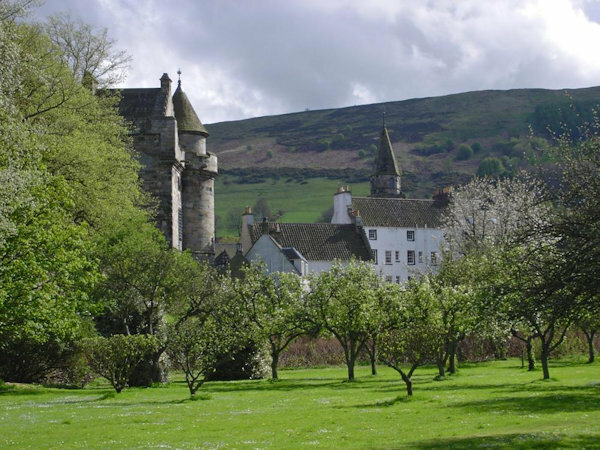 Dunkeld was the base for Crinan in King Hereafter and Dorothy lodged some papers with the cathedral as a thankyou for their help in her research. A magnificent ruined castle where Richard was staying when news came in of the shipwreck of the Edward Bonaventure in Ringed Castle. The Scottish Crown Jewels were sent here during the English Civil War when Cromwell swore to melt them down. 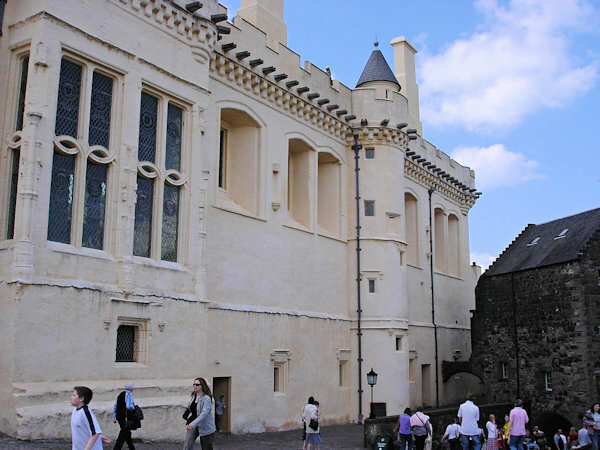 The castle was beseiged but they were smuggled out and buried under a church until the restoration made it safe to return them to Edinburgh. 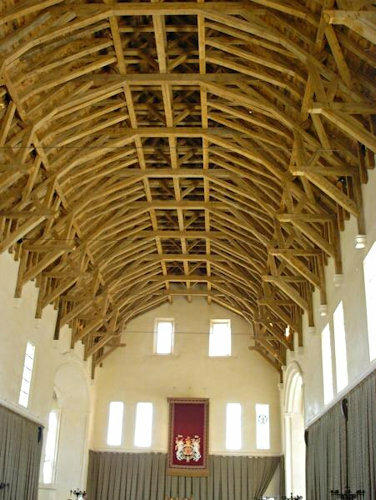 Dunottar is also connected to Mel Gibson as it was the site for his filming of Hamlet. The bay where Richard Chancellor's ship, the Edward Bonaventure, was wrecked after the long voyage from Russia. Situated a few miles west of Fraserburgh the area also contains the village of Pennan which was one of the two sites used for the village featured in the well known film Local Hero. 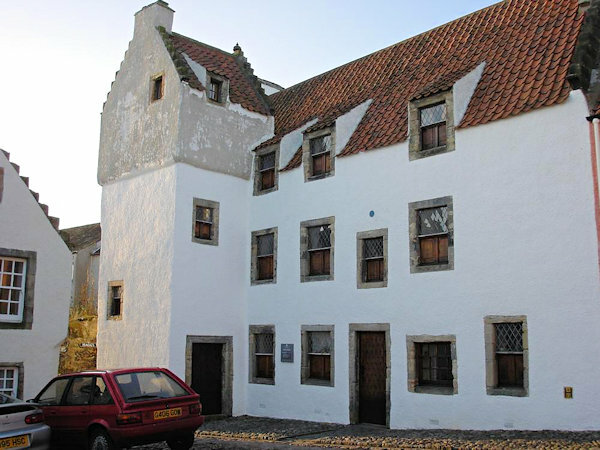 The castle sits on the land in Angus which belonged to Anselm Adorne.